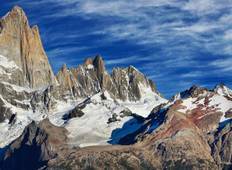 Some of the worlds best hiking opportunities can be found in Chile and Argentina, countries that share the remarkable Patagonian region. See statuesque mountains and glacial valleys on our tours taking you through Torres del Paine National Park and into the Patagonian wilderness. "I had a fantastic time and the scenery was beautiful." 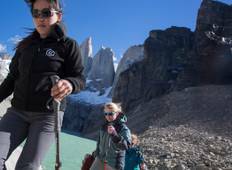 "Well organized and great trip"
"Excellent itinerary, great party leader and local guides who went out of their way..."
"The Best of Patagonia 13 Days, El Calafate to Ushuaia, was a fantastic experience...."
"It was a great trip. All the participants were very friendly. Guides looked after..."